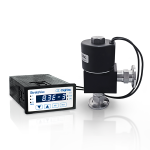 Use this digital vacuum gauge and controller as a drop in replacement for the Varian 801 pointer meter gauge with millivolt output and line powered. 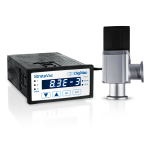 The DigiVac model 801W is an easy to read digital vacuum gauge that has a large numerical display which can be read from across the room. Vacuum Gauge, the new app from DigiVac, allows users to monitor, save and share Bluetooth Bullseye Vacuum Gauge data via smartphone or tablet.